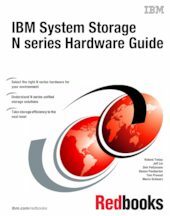 This IBM® Redbooks® publication provides a detailed look at the features, benefits, and capabilities of the IBM System Storage® N series hardware offerings. The IBM System Storage N series systems can help you tackle the challenge of effective data management by using virtualization technology and a unified storage architecture. The N series delivers low- to high-end enterprise storage and data management capabilities with midrange affordability. Built-in serviceability and manageability features help support your efforts to increase reliability, simplify and unify storage infrastructure and maintenance, and deliver exceptional economy. The IBM System Storage N series systems provide a range of reliable, scalable storage solutions to meet various storage requirements. These capabilities are achieved by using network access protocols, such as Network File System (NFS), Common Internet File System (CIFS), HTTP, and iSCSI, and storage area network technologies, such as Fibre Channel. By using built-in Redundant Array of Independent Disks (RAID) technologies, all data is protected with options to enhance protection through mirroring, replication, Snapshots, and backup. These storage systems also have simple management interfaces that make installation, administration, and troubleshooting straightforward. In addition, this book addresses high-availability solutions, including clustering and MetroCluster that support highest business continuity requirements. MetroCluster is a unique solution that combines array-based clustering with synchronous mirroring to deliver continuous availability.